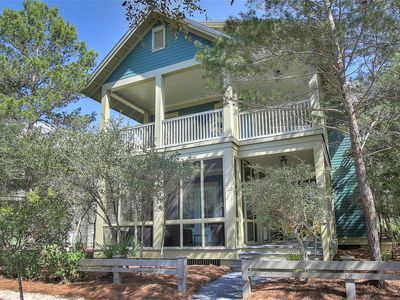 "Elizabeach" in Seagrove~ Perfect For Families~ Sleeps 14~ Private Pool~ Steps to Gulf! 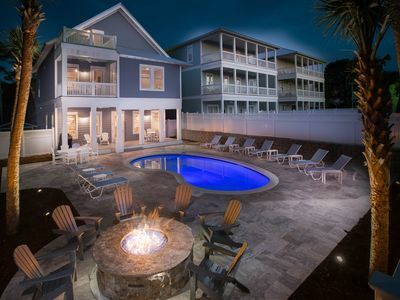 Includes Sterling 30A's Vacay Your Way $200 Credit. Use for free bikes, free beach service, free SUP, or toward dozens of other great Live Well 30A rentals or services! Learn more below. 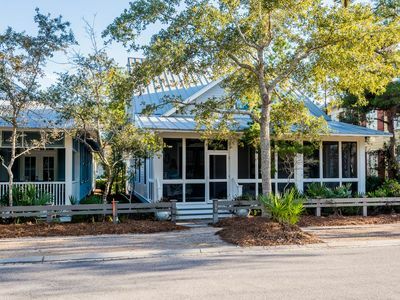 "Elizabeach" is located in a quiet community just one block north of Scenic Hwy 30A in Seagrove, with great dining and quaint shopping amenities close by, and a quick stroll to the sugar sand beaches. Offering 5 bedrooms and 4 baths, this spacious home comfortably sleeps 12-14 guests featuring 2 king master suites and guest bedrooms with 1 king, 1 queen, 1 twin/full bunk bed with trundle, and a queen sleeper sofa in the living room. 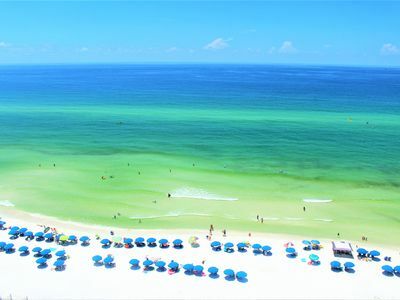 Seagrove Beach is a great place to spend your next special vacation. Enjoy the convenience of nearby activities & water sports like canoeing, kayaking, swimming, fishing, and much more. 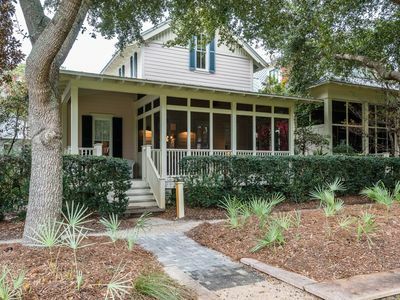 Rent a bike and take advantage of the 25 miles of paved bicycle paths that run along the coast on 30A. 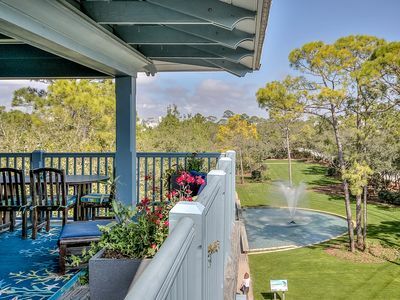 At "Elizabeach", you're both at the heart of it all and away from it all~ the house is just 1 ½ miles east of Seaside & Watercolor, and 3 to 8 miles west of Watersound, Alys, Seacrest and Rosemary Beaches. 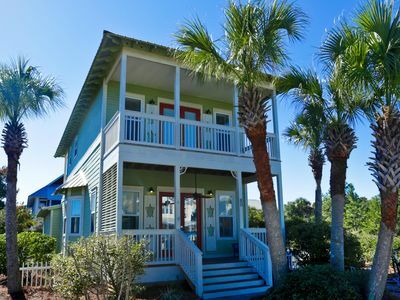 This casual and roomy beach home has plenty to offer for a large family or 2 smaller families, with 2 master suites and plenty of space for privacy. 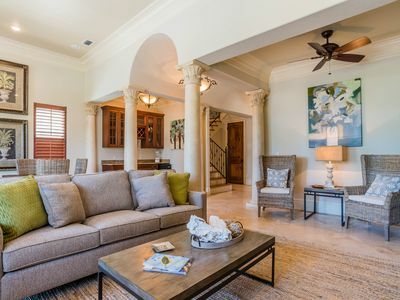 The home boasts over 2,500 square feet with 5 bedrooms on 3 levels, a 3rd floor open deck with gulf views, a 2nd level with wraparound porches (with views) and the large back yard with private pool and gazebo. Enjoy the grill and picnic area by pool with lots of seating, or take advantage of the 6 TV's/3 DVD players, high chair, baby gate, WiFi, Netflix movies, Wii game console, Xbox 360, hot/cold outside shower, soft sided cooler, beach wagon to tote your items to the beach, and beach toys to name just a few of the extras offered in this well maintained home. 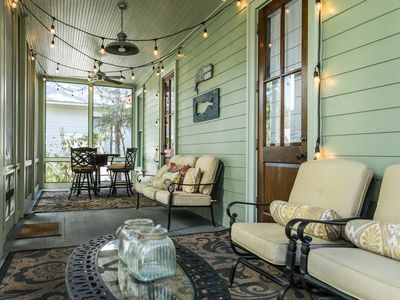 This property will become a family favorite year after year. A $300.00/week pool heating fee will apply to heat the pool. Contact management prior to your stay to set up this service. 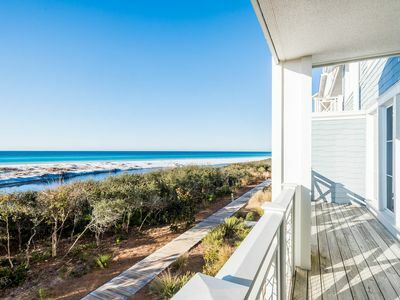 Stay Sterling 30A & Vacay Your Way! 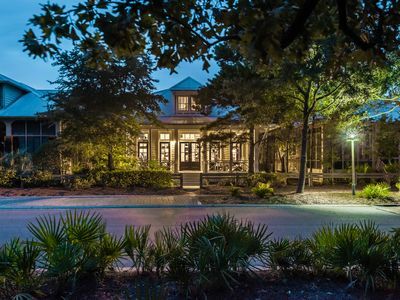 The best thing about a vacation in 30A is that it is ready to be any type of vacation you were dreaming of. We have the most beautiful and uncrowded beaches in the world, perfect for long days in the sand! We have a paddler’s dream, coastal dune lakes that are so rare they only occur in a handful of locations around the world. We have endless bike paths through nature preserves, along beaches, and to all our dining and shopping hot spots. We are one of the few locations where, with the right permitting, you can have beach bonfires - an experience you will reminisce over for years. 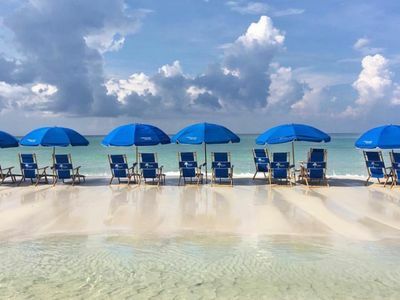 That is why at Sterling 30A we say: Vacay Your Way! Book free bikes with your rental, if that is what you enjoy. Book a free SUP rental, if a little water yoga will make your day. Book free beach service to be waiting for you on the sand if your vacation is all about being a beach bum. From baby gear to golf carts to bonfires we want this vacation to be unique and special to you and your family! GULF VIEWS! Vaca in this Luxurious Mediterranean Home in Blue Mountain Beach! 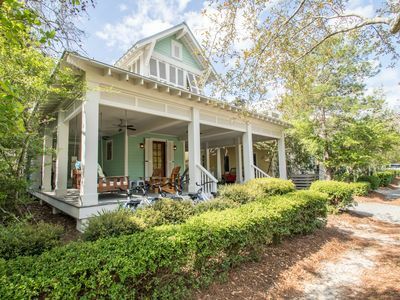 "La Belle Maison" Steps away from Camp WaterColor! Open Floor Plan & Porches! 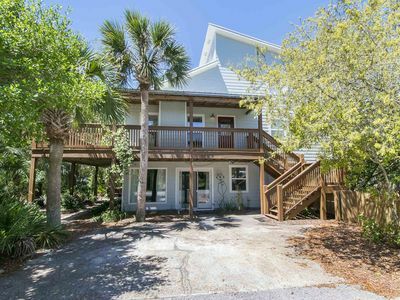 `Sea Power` Large 30A House + Private Pool + Fire Pit + Game Room + FREE Bikes! Pet Friendly 4 Bedroom Home in WaterColor's Park District! 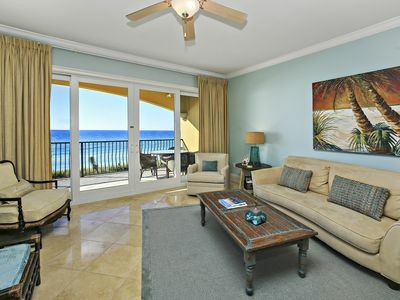 Adagio A201 BEACH FRONT! 4 BR, 5 STAR, FABULOUS RESORT! Corner Unit, 2nd floor! 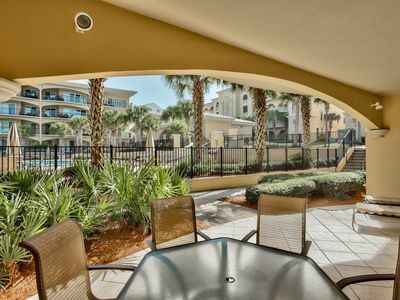 Adagio G104 pool front three bedroom plus bunk room, week of May 18th open! Adagio C-202 Beach-front, 4 bedroom with Additional Bunk Room! 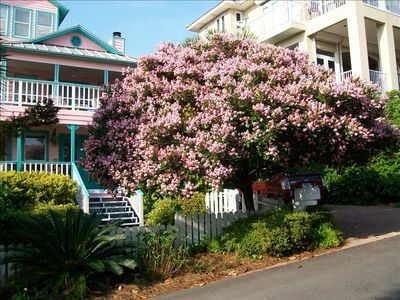 Family-friendly home by the beach w/ private & shared pool - snowbirds welcome! Executive Access Home! 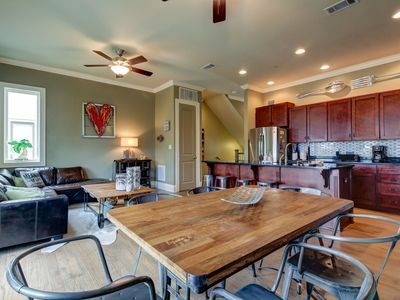 Park District, Carriage House, Close to Town Center! 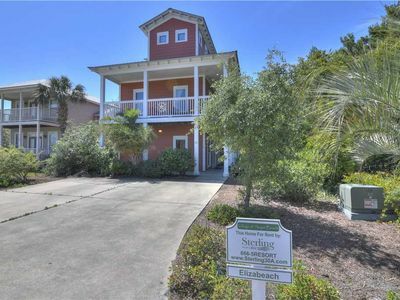 Spacious home with shared pool, moments from beach, shopping, dining, free WiFi! Executive Access Home! 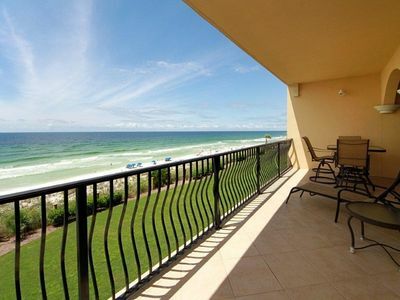 Watersound Gulf Front Condo, Sleeps 6!